Home Kris Letang Kris Letang Out "A Couple of Weeks"
Pittsburgh has at times looked unstoppable on their recent 7 game winning streak. It will remain to be seen if the injury bug can slow them down in a way their opposition hasn't. Per Mike Sullivan, as first reported by Pens team reporter Michelle Crechiolo, Kris Sullivan suffered a lower body injury in last night's game against the Boston Bruins and will miss a couple weeks of action. It's a huge blow to a defense that had already gotten off to a slow start this season. Letang currently ranks 4th on the Pens in scoring with 19 points (2g, 17a), and had managed a 53.8 CF% while playing a team-high 26:04 per game facing the toughest competition of the blue line. 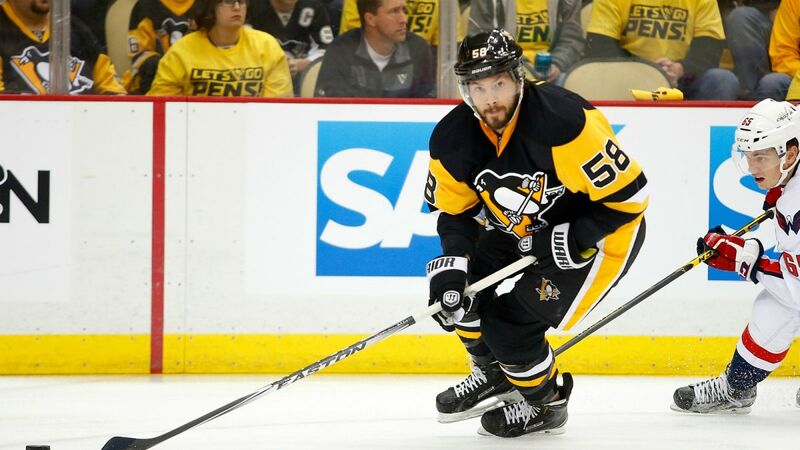 It remains to be seen how the team plans to account for Letang's role on the ice, but it would seem likely that Derrick Pouliot will get a chance over the next couple of weeks to show he deserves a full time spot in the lineup. Whether that's sliding in to the top 4 to take Letang's place or on the bottom pairing remains to be seen. Another big question mark in the wake of the news is what Sullivan will do with the Ian Cole-Justin Schultz pairing. Schultz (55.0 CF%) and Cole (54.5 CF%) have led the Penguin blue liners in possession, albeit while also ranking 6th and 5th, respectively, in both TOI and Quality of Competition. Given their strong play as of late, it could be more likely than not that the loss of Letang sees the duo pick up the slack, giving the team a more balanced three pairings. Sullivan could decide to shelter Pouliot and move Schultz or Cole up in the lineup to do so, or it's entirely possible that he decides not to mess with a good thing and leaves their roles unchanged. Unfortunately for the Pens, it introduces more questions on defense when the team really needed to start finding some answers.